Four Nigeria Professional Football League sides are still on continental engagement this weekend, leaving only six games to be played across the federation. Jos will be the center of attraction as Niger Tornadoes visit Kennedy Boboye’s Plateau United, on the back of their first defeat this term. Ladan Bosso makes a return to Umuahia, as he confronts his former club, Abia Warriors. 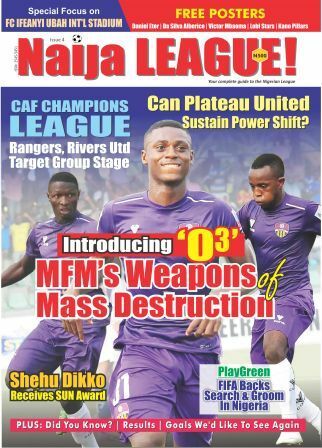 It might not be the gathering of stars in Jos, when Plateau United hosts Niger Tornadoes, but a keen interest on how Boboye will react after suffering his first defeat this season, is worthy of note. The unbeaten run of Plateau United lasted for 7 matches, however the Jos side still maintains top spot on the league table. This game against Niger Tornadoes might not come easy for Boboye’s lads considering the impressive form Tornadoes have been in recent times. Tornadoes are not far away from their host, 5th position with 12 points which is a decent attainment at this stage of the league. The key interest in this game is to monitor Boboye’s evolution, putting it side by side with his antecedents. 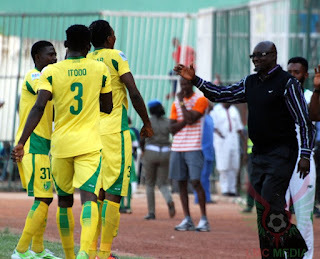 The former Sharks man have always started well in his two previous jobs – Sunshine Stars and Abia Warriors, but begin to fumble after one or two upsetting outings. For sure, Tornadoes, who have lost only two away games, will be a hard nut for United. It is a tie too close to call.